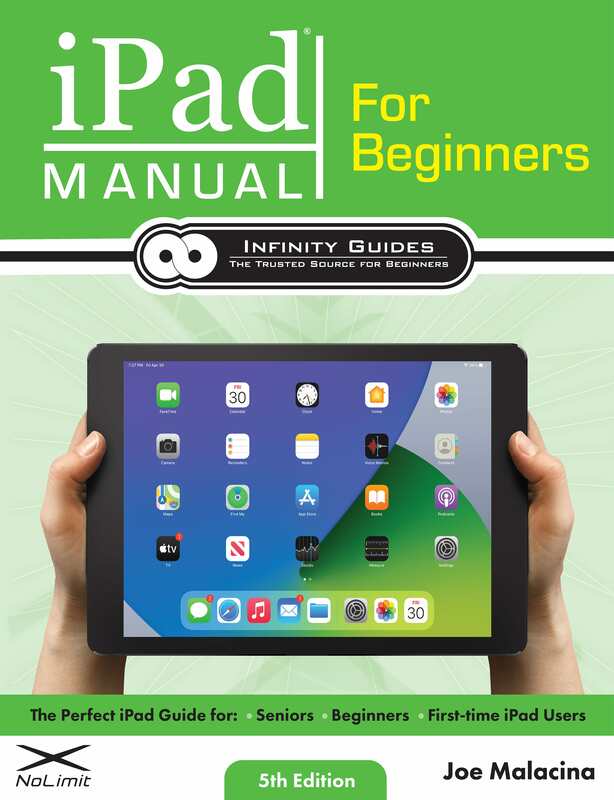 The iPad Manual for Beginners is the complete guide to using the iPad. This book was made with the beginner in mind, and is great for seniors and first-time iPad users. The book is suitable for all iPad Models, including the iPad Air, Air 2, 4th Generation, 5th Generation (2017 & 2018), 6th Generation (2018 & 2019), Mini, Mini 2, Mini 3, Mini 4, & Pro. This book teaches you the building blocks of using the iPad. It starts out by going over the physical properties of the device, followed by defining some key terms that every iPad user needs to know. Then the book goes into instruction mode, teaching you all the basics including: creating an Apple ID (which is extremely important), creating and importing a contact list, surfing the internet, setting up your e-mail, using all the apps on the iPad, personalizing your iPad, securing your iPad, downloading apps and using the App Store, text messaging on the iPad, phone calls on the iPad, tips and tricks, and much more. This will be the only guide for your iPad that you will ever need. You can read it in one sitting, and keep it handy as a reference manual. By the time you are finished with it, you will have a complete intuitive understanding of your iPad. You will never have to struggle with your iPad again and you will be able to use all of its native apps confidently. Paperback, ships anywhere in the world. Looking for the iPhone Manual for Beginners? Click here.